1. Click on the Banner above or simply click this link and sign-up. 3. Sign-up on Postloop Portal. 4. After signing up, please click this link to subscribe. 5. Enter the username and e-mail that you used on Portal Registration. 6. 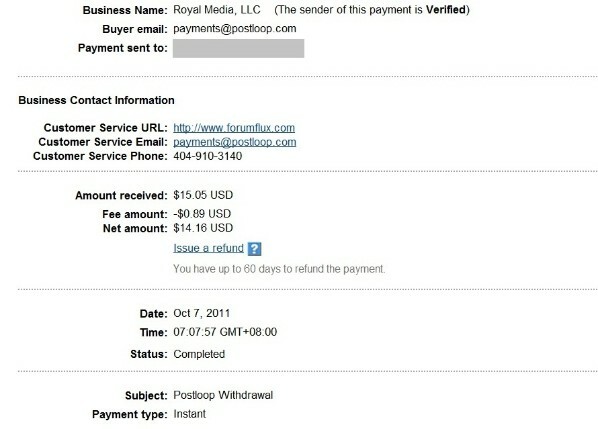 After it is confirmed, you can proceed to the Postloop Portal and start doing the initial 10 posts. ** Make sure that you SUBSCRIBE first before POSTING. It is very important. ** Within 24 hours, the POSTLOOP staff will send you an email whether you passed the evaluation or not. If you passed the evaluation, you will also be given a user rating and you can start posting and earn points. - You have to introduce yourself on the forum. Go to the introduction page for the new members. - Make sure that you capitalize all the letters that should be capitalized. Use proper punctuation marks as well. - At least provide 3-4 sentences on each posts. - Make sure that your sentences are grammatically correct and avoid typographical errors. - Quality of messages are important. Don’t use foul words. 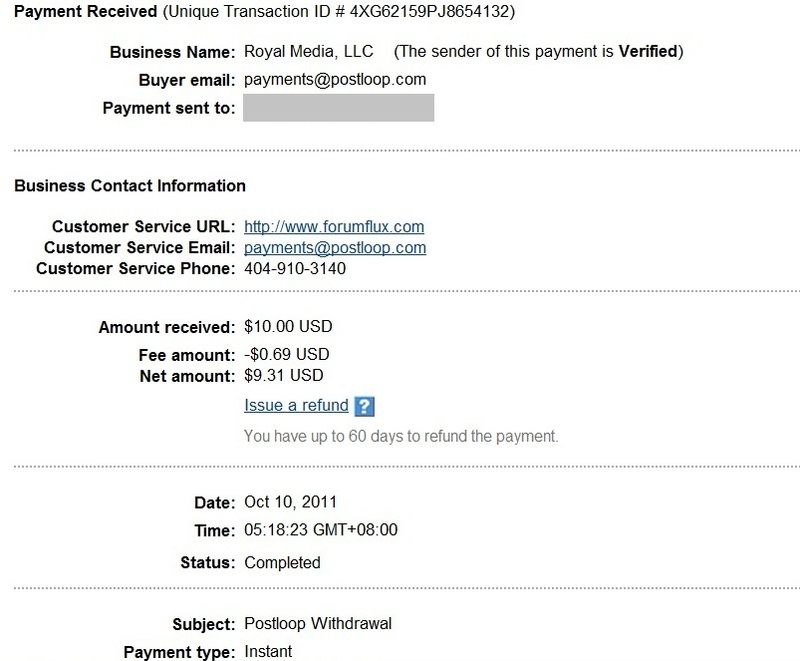 Postloop pays via PAYPAL only. 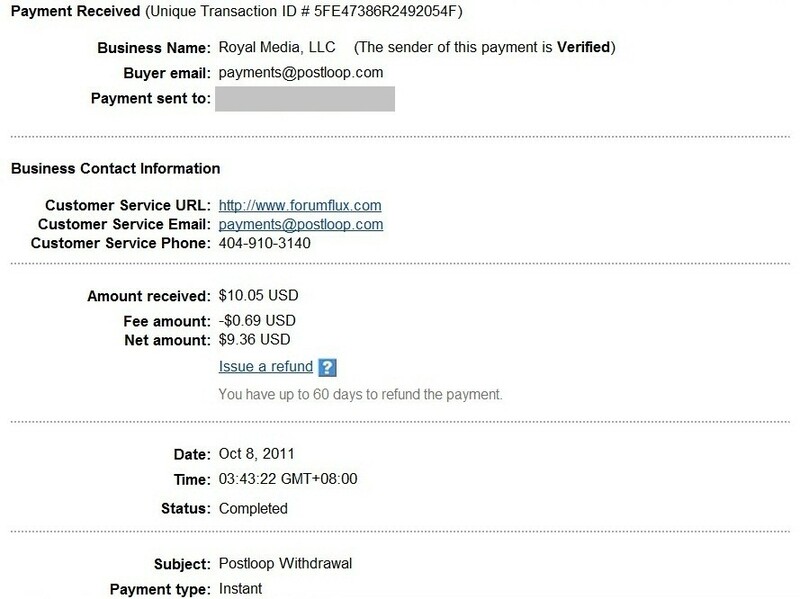 If you don't have a paypal account, you can create one on here. For every 100 points, you can earn $5. 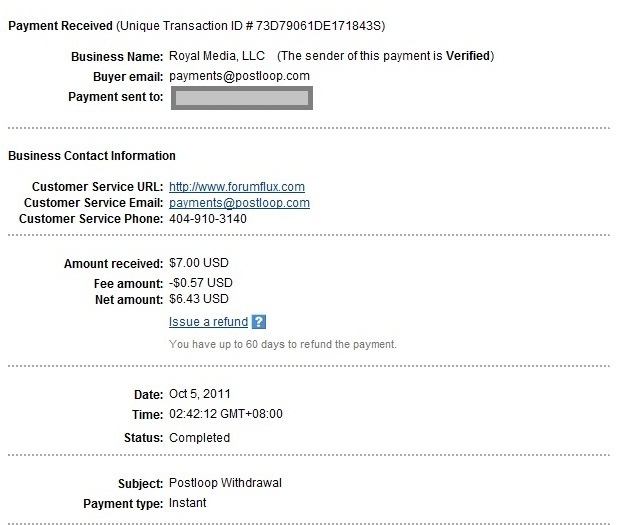 An average postlooper earns at least 1.74 points per post, it means approximately 57-58 posts will give you $5.